Height 36 in. (91 cm), bloom 5 in. 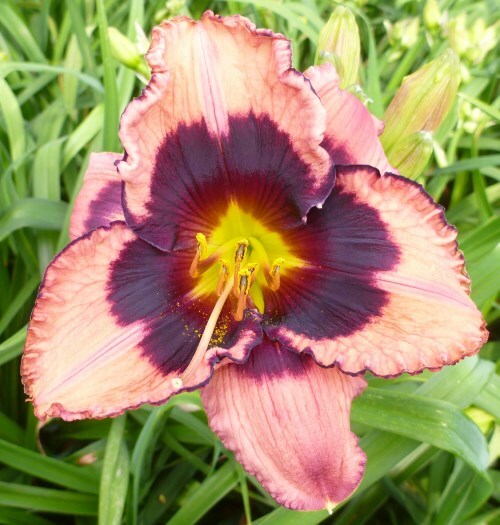 (13 cm), season M, Rebloom, Dormant, Tetraploid, 20 buds, 4 branches, Ruffled lavender with pink highlights, maroon black eye and matching maroon black picotee over small yellow to green throat.